Lung cancer. 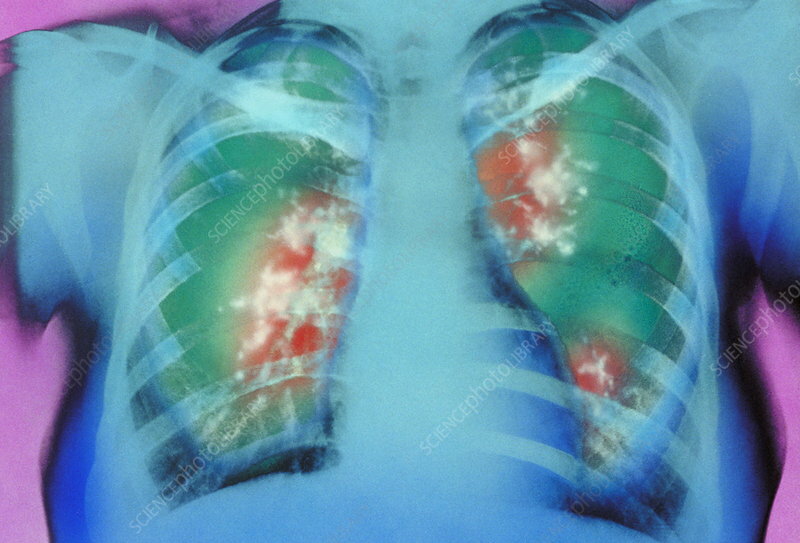 Chest X-ray of lung cancer (red/white) in a patient's lungs. The rib cage and the heart (lower right) are seen. Lung cancers are most often caused by cigarette smoking, exposure to asbestos, and pollution. Treatment includes radiotherapy, chemotherapy, and the surgical removal of all or part of the affected lung.